Marsh Wealth Management is a Knoxville, TN based financial planning and accounting firm. Marsh contacted New Frame Creative to help them craft both a new website and also a short promotional video to feature on the front page of their new website. 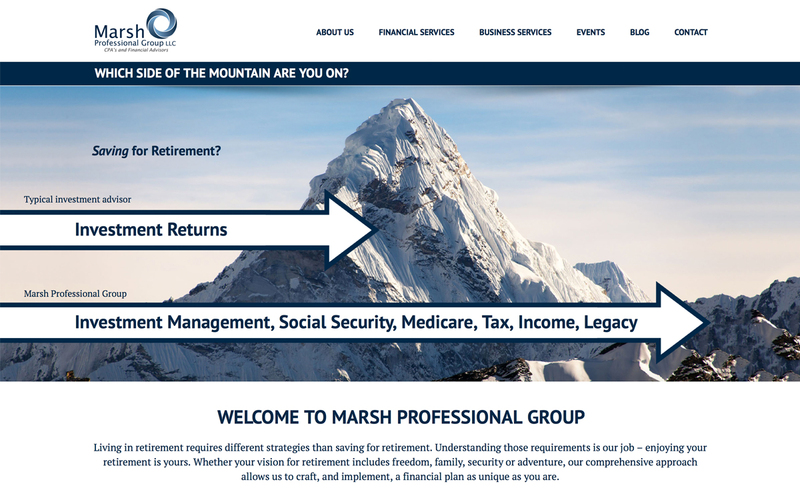 The new Marsh Wealth Management website features an above-the-fold front page animation, custom video, contact forms, and responsive design which ensures the site will look great on mobile devices such as tablets and smartphones.